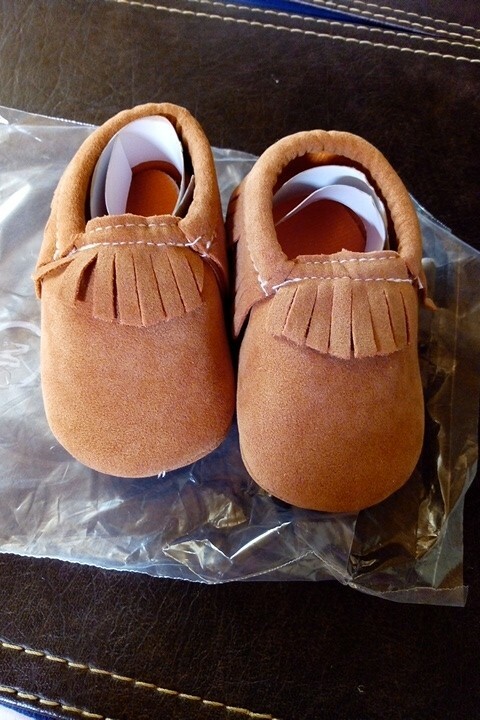 Beautiful suede leather moccasins model with fringes. A crisp design to scent the outfits of your children. This pair of "SUEDE" combines refinement and practicality. Very easy to put on and off thanks to the big opening and the elasticity of the shoes. 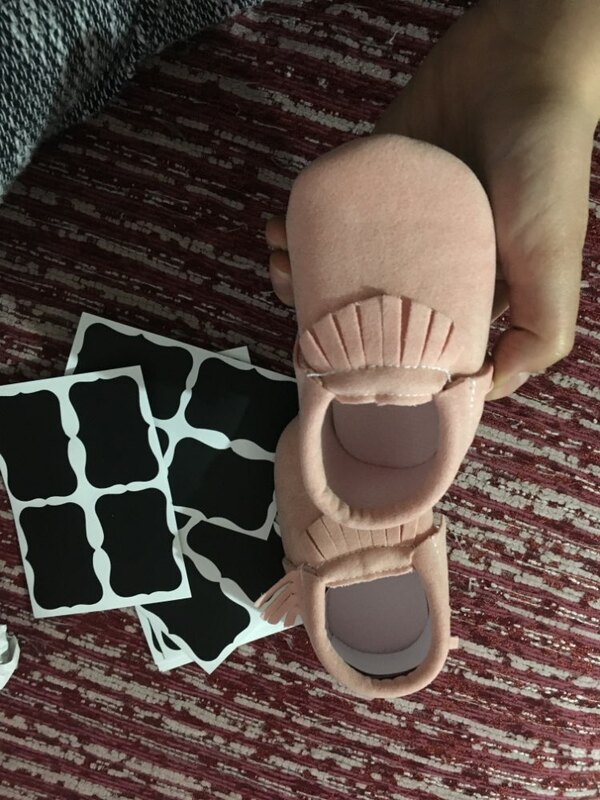 feels very nice, soft but firm sole, measure your child's foot, we'll have to wait a bit. 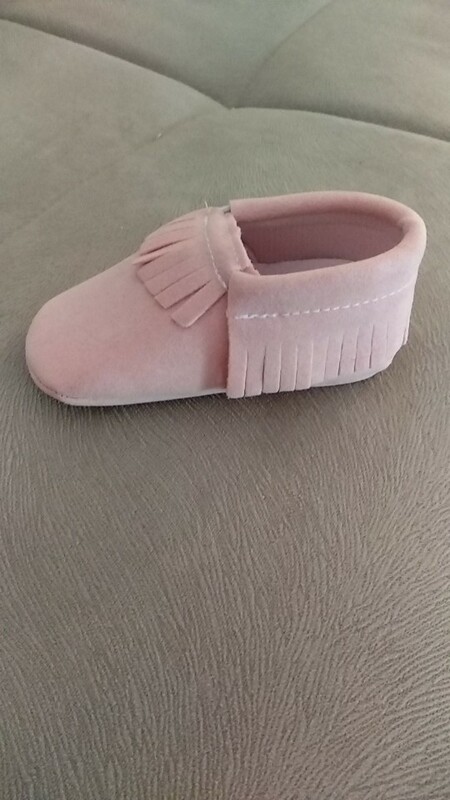 looks cheap but very very cute! 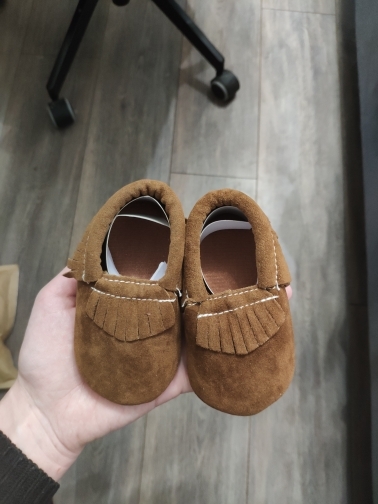 I took the smallest size but seems still big. Let's wait. thank you!